Denisse received her B.A. in Religion and Social Justice from Agnes Scott College. She served as a Peace Corps volunteer in Togo teaching English and as an AmeriCorps member in San Diego focusing on job placement of refugee clients. She has previously worked as an English instructor in South Korea and as a bilingual advocate for survivors of sexual assault in Arkansas. Denisse is a modern southern belle in search of finding the best fried green tomatoes in LA. Jurassic Park is her favorite movie even though she is afraid of dinosaurs. Beth was raised in the suburbs of Los Angles and has a degree in Studio Art from UCSB as well as a Masters in Public Administration from USC. Her event planning experience includes four years as the event's chair for a creative business network in Austin, where she planned bi-annual craft shows, facilitated partnerships with non-profits, and worked with SXSW affiliates. She has volunteered all over the world and continues to work every summer as a volunteer director at a youth summer camp on Catalina Island. When she's not planning the next party or DIY'ing something, she loves running, camping, and napping at the beach. A relative newcomer to Los Angeles, Kami originally hails from Nashville, TN via New Orleans. She's interested in systems thinking, social justice and helping organizations achieve greater impact. Kami received a BA in Religious Studies from The University of the South (Sewanee) and an MS from Tulane University where she focused on sustainable community & organizational development. Between her studies, Kami interned with the U.S. Consulate in Germany, worked with the University of TN's Institute of Public Service as well as several environmental organizations, and was deeply involved in community activism in her hometown. As L.A. Works' Operations Manager, Kami provides support for all departments and facilitates capacity-building initiatives. When not at “the Works,” you'll likely find her repurposing scavenged treasures, TimeBanking, or having her ankles mauled by a tiny blind foster cat. Prior to joining the L.A. Works team in June 2009, Deborah worked in development for a family service agency in Santa Barbara and program management for an organization serving children impacted by a parent with cancer in San Francisco. In 2001, Deborah was interim Executive Director of the AT&T Center for Service Leadership at the Pennsylvania State University. Deborah has served on the City of Los Angeles' "We Serve LA" Community Service Advisory Cabinet, is a member of the Points of Light's Corporate Institute Leadership Faculty, and is a graduate of the Los Angeles' Chamber Leadership Los Angeles class of 2014. Deborah completed her MBA degree from the USC Marshall School of Business with a focus on social entrepreneurship. Responsible for recruiting and supervising baby boomer volunteers, Nahtahna's appointment as the director of RSVP continues her life's work creating opportunity and change through advocacy, education and community outreach. With two masters degrees, she's an experienced educator having worked in high schools and colleges with low-income youth, incarcerated populations, and single-working mothers. As a Bohnett Fellow, she worked with Mayor Villaraigosa on his education reform agenda. At CASA of L.A., she recruited hundreds of volunteers to advocate on behalf of abused and neglected children. She enjoys running half marathons and spending time with her morkie, Sia. Vanessa obtained her B.A. in Creative Writing from California State University Long Beach and is an accomplished author, published under Divine Garden Press. She has been working with AmeriCorps for the past three years, serving as a VISTA member for Boys & Girls Clubs of Long Beach for two years and a CalServes VIP for one year at Sonoma County Family YMCA and Inland Empire United Way. Vanessa is an upcoming Master’s candidate at California Baptist University. She loves butterflies, giraffes, crocheting, listening to music and reading (her favorite author is Sci-fi writer Octavia Butler). An active member at her home church, St. Stephen Missionary Baptist Church in La Puente, she is a part of the Drama, Anointed Hands of Praise (sign language), and Arts & Crafts Ministries. Vanessa is extremely excited to encourage VISTA members and the community through the various activities at L.A. Works. Denise is a volunteering junkie. Growing up in Iowa, she was committed to volunteering with homeless, immigrant, and at-risk youth populations. A short acting career moved her to Phoenix, New York, and San Diego, before she returned to human services in Los Angeles. Denise has helped manage volunteers at Big Brothers Big Sisters, Young Storytellers, and what feels like every Catholic church in LA. When she’s not helping volunteerism thrive at L.A. Works, she’s running, learning Japanese, or volunteering with incarcerated youth. Austin Kottkamp grew up in Orange County. He received a BA and MA from the University of California, Santa Cruz, where he studied Theatre Arts, specifically Scenic Design and Technical Direction. Austin trained as a carpenter and painter for the theater, designing scenery in LA, and works in both theater and film. He studied abroad in Dublin, Ireland and has traveled a good deal, but is always looking forward the next trip. In his spare time, Austin enjoys geeking out with his friends, playing Dungeons and Dragons, frequenting the many museums and productions across the LA area, hanging out with his mom, and each summer volunteers as a director for a youth camp on Catalina Island. Michele has a bachelor’s in cartography from the University of Wisconsin-Madison and a master’s in business administration from Southern Oregon University. For many years she was a communications project manager at the University of Washington. Eventually, Michele left Seattle to teach financial education and community banking with the Peace Corps near Chiclayo, Peru. Since her youth, her volunteer efforts have centered around environmental stewardship, bicycle advocacy, food security and literacy. Michele sees supporting volunteers and nonprofits while encouraging community engagement with L.A. Works as the perfect synthesis of her experience and interests. When she has a chance, she likes to get outside or cook whatever is in season. Raymond came to L.A. Works through a personal search for volunteer opportunities and a desire to get involved in the greater Los Angeles community. An actor by profession, Raymond received his MFA in Acting from Mason Gross School of the Arts at Rutgers University. Raymond has been an arts educator and advocate since 2004, working with nonprofits and grant organizations while teaching acting at Universities and professional studio programs. A native of Tennessee and a resident of NY/NJ for ten years, Raymond still can't get over the sunshine, beaches, deserts, and mountains. So, when he's not organizing volunteers, acting, teaching, or writing, Raymond can be found in the outdoors or "fiddlin" around with a carpentry project. Jessica is a Stockton native who became an Angeleno while earning her BA at Mount St. Mary’s University. Jessica went on to work at her alma mater for three years post graduation in Student Financing where she served as the Co-Chair of the Committee on Staff Affairs. As an AVID graduate and Dell Scholar Jessica feels very passionate about empowerment through education. During high school, she volunteered as a tutor and looks forward to promoting educational programs through her role in the RSVP program. In her free time, she enjoys hiking, cooking, decorating and traveling - especially to her parent’s hometown ranch in Michoacán, Mexico. Raised in LA, Kim has a Masters in Public Administration. She has a variety of non-profit event experience from Boston Pride, Los Angeles River clean-ups, and mobile medical clinics in the jungles of Panama. She loves LA and enjoys planning adventures for her friends around town. When she’s not working on some sort of event she sings in LA’s oldest LGBTQ choir, the West Coast Singers; enjoys making and drinking tasty cocktails; and reads a lot. Gyasi (Jah-C) got his start in volunteerism with HandsOn Bay Area our San Francisco affiliate back in 2009 where he served as an AmeriCorps VISTA and Corporate Project Leader. After his term of service as a VISTA, he spent two and half years with The Mosaic Project as their Youth Leadership Project Director. When he’s not promoting volunteerism here at L.A. Works, Gyasi enjoys songwriting and performing music around Los Angeles. He’s an LA native and San Francisco State University graduate with a deep passion for giving back and creating opportunities for others. Andrew, born and raised in the suburbs of northern New Jersey, spent thirteen years doing social work on a voluntary and professional basis in New York City prior to enrolling at USC for a dual masters program. Now in his final year of earning a Master in Social Work, with a concentration in social change and innovation, and Master of Urban Planning, with a concentration in community and social planning, he is continuing his professional goal of bringing equity and social justice to communities that need it. Outside of work, when he is not eating his way through the LA food scene, he is getting lost in wilderness backpacking through national parks in the US or lost in translation traveling the world. Denise was born and raised in the LA area. She has her BA in Communications from California State Polytechnic University, Pomona. Denise worked at Univision Radio as a coordinator assisting in community events and volunteers with her Grandmother’s church at the LA Food Bank. Through volunteering, she discovered the need for more to be done, and is finding new ways to create engagement. Denise is currently pursuing her Masters Degree in Public Administration while serving as a VISTA through AmeriCorps. Outside of work, she is training for a marathon or training in Crossfit. Steve Schaeffer is a writer and event producer whose work has been featured by many of America’s top not-for-profits and corporations across the country. As an event producer, he has created gala fundraising events and meetings for some of New York City’s top not-for-profit companies, including Roundabout Theatre Company, The College Board, Atlantic Theater Company, Volunteer Lawyers for the Arts and MCC Theater. Steve is a graduate of UCLA’s School of Theatre, Film and Television and also studied at the University of Hull in England. Outside of work, Steve is usually ingesting pop culture of all kinds: movies, tv, theatre, books and podcasts…oh, so many podcasts! He also manages to go outside frequently, too. PJ has been serving as a notary, business management consultant, controller, and tax accountant since 1985. He formed Schumacher Financial Consulting in 1991 to provide full-charge bookkeeping services to a wide variety of clients, as well as serving in the capacities of controller and tax accountant. P.J. 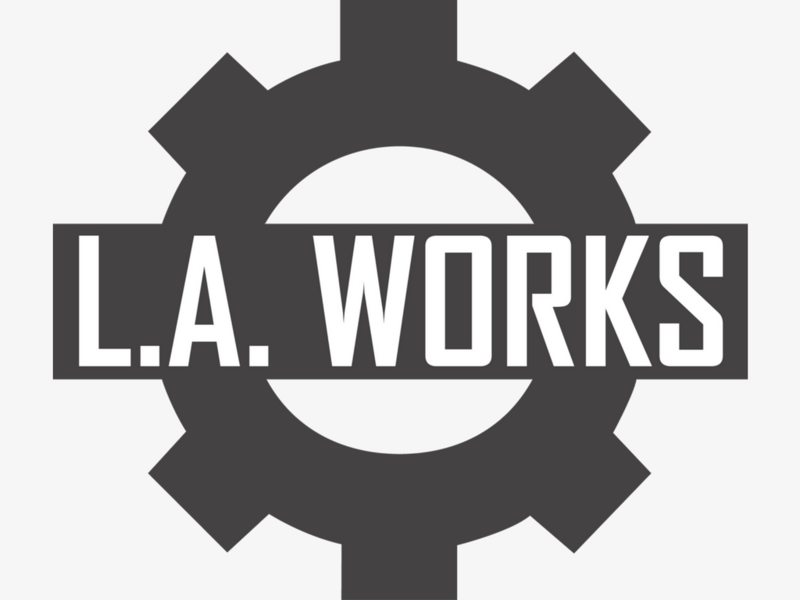 joined the L.A. Works team in 1993. Sam is originally from South Korea, has a Masters degree in Urban Design and over 10 years of experience in various corporate sectors, including running her own company. She is passionate about building communities that work together to give hope, support, and the opportunity to thrive to those who feel like they have no other options. She recently left her successful corporate career and completed an MA in Positive Developmental Psychology and Evaluation at Claremont Graduate University (including research on poverty, leadership and social capital in relation to youth gang prevention). Through her studies and her time with L.A. Works, she hopes to better prepare for a career that contributes to increasing meaning and purpose in people’s lives. Before moving to the U.S., Warda worked with Telenor Pakistan (a BU of the Telenor Group) within the Corporate Communications team. She graduated with a Bachelors in Business from the National University of Computers & Emerging Sciences (NUCES) in Islamabad. She also did freelance content creation for Mangobaaz (a Buzzfeed-like entertainment company in Pakistan) while juggling a career in comms, prior to my move. In her free time, she likes to cook and reimagine ways to take over the world… one nap at a time. As a Social Media & Content Producer Volunteer Associate at LA Works, Warda looks after the organization’s SoMe channels & and tackles challenging communications projects. Committed to becoming an advocate for change, Cammila is pursuing a B.S. degree in Environmental Science with a minor concentration in Environmental Engineering. As an undergraduate researcher for the UCLA La Kretz Center for California Conservation Science, she is currently involved with a student-based initiative that seeks to monitor and assess the ecological recovery of wildlife after the recent Woolsey Fire. Cammila served as a volunteer in the vibrant healthcare community at the Ronald Reagan Hospital for 3 years, where she cultivated a passion for building meaningful relationships. Through her engagement with L.A. Works, Cammila aspires to possess an understanding of the issues that afflict urban communities, so that she may empower those who resolve to join the fight for societal justice. Mike is originally from Niagara Falls but has been in L.A. For 12 years. He’s got 6 years of experience teaching middle and high school mathematics and was the Program Director of Teacher Leadership for the Center of Math and Science Teaching (CMAST) at Loyola Marymount University, where he worked with over 50 schools within 11 school districts, impacting over 48,000 students. He earned his MBA from Loyola Marymount University and also has a master’s degree in Curriculum and Instruction from the State University of New York at Fredonia. One of Mike’s professional passions is building instructional coaches capable of fostering sustainable change within their organizations. When he’s not helping develop leaders, he’s probably off traveling somewhere amazing! Nikki grew up in San Antonio, Texas and studied Finance at the University of Texas at Austin. She became interested in law, advocacy work, and social justice after interning at the Texas House of Representatives and then moved to Los Angeles to attend law school. Nikki enjoys volunteering because it allows her to advocate for particular social issues that impact her and her community. She’s been fortunate enough to work with disability law, health justice, educational law as well as assist Amnesty International staff with lobbying efforts for the DREAM Act and the International Violence Against Women Act. Nikki enjoys hiking with her husky and hopes to one day start her own nonprofit focused on advancing education for Filipino Americans. Nikki will be focusing on advocacy strategy both for LAWD 2018 and the organization more broadly. Alejandra was born and raised in East Los Angeles. She loves to explore and find new scenery in the city she’s always known. Alejandra is pursuing a B.A. in Criminal Justice and Criminology at California State University, Long Beach along with a minor in Forensic Sciences. She is the current president of Alpha Phi Sigma, the National Criminal Justice Society at CSULB. She has a passion for education and trying to bridge the education gap for lower socioeconomic communities. When she’s not working on a research paper or volunteering with her peers, she’s usually busy catching up on Marvel movie theories on YouTube. Rachel recently moved to LA from the UK. She studied Archaeology at University before traveling for several years and temporarily settling in Australia where she worked for a magazine. She later returned to the UK to pursue an MA in Journalism then worked in media, PR, and online marketing for some of the UK's biggest brands for many years in London, eventually setting up her own marketing consultancy. Rachel volunteered for Age UK for several years and loves running and riding horses. Her pony, Fairytale (yes that is his name), is in the UK and Rachel is currently pining for him - though he will be eating and doesn't care. Rachel drove a Land Rover to Australia from the UK and lived in Sudan, Indonesia, Nigeria and Saudi Arabia as a child. Martha was born and raised in Baja California, Mexico and moved to California at the age of 18. Her desire to help and serve the community, however, developed as she participated as a volunteer in organizations such as Mercy WorldWide, where she utilized her skills as a bilingual public speaker in several events to help the San Bernardino and East L.A. communities. Furthermore, her passion for advocacy solidified as she continued serving in El Paso, Texas as a legal assistant in the Emergency Refuge Center of Tornillo, seeking to support unaccompanied minors who immigrated. She currently continues her studies in Mt. San Antonio College and aspires to further her education at UCLA with her Communication Studies major. Martha strives to always participate anywhere she can apply her knowledge and skills for the good of the people, and what better place than L.A. Works! Ebony is a Los Angeles native who is in love with her city and everything it has to offer. In 2013, she enlisted in the United States Air Force as a Security Forces Officer. After being medically discharged, she returned to school and received an associate degree in Liberal Arts from Victor Valley Community College. In 2017, she graduated from CSULA with a bachelor’s in Business Administration with a concentration in Marketing Management. She is passionate about Marketing and Communications, as well as volunteering and working on projects within her community. Ebony has volunteered with Mother’s in Action, The Midnight Mission, and L.A. works in recent years. When she’s not at work or volunteering, she’s traveling. In 2017, she visited China and Thailand, and most recently backpacked in Europe. She’s excited to be working with L.A. Works. Claire was raised in New York and moved to Los Angeles to complete her degree in Integrated Marketing Communications. A few months into her stay she became involved in fostering and rehabilitating animals. It was during this time that she fully realized the value in giving back and the community that it builds. Claire has immersed herself in many facets of the entertainment, marketing, and advertising world during her time in Los Angeles and is looking to utilize her skills to make a difference in the community with L.A. Works. During her free-time Claire enjoys hiking and biking in Griffith Park, practicing yoga, and writing. Enis worked in Fortune 500 companies in pricing, revenue management, and analytics roles. He has graduate degrees from Washington University in St. Louis (Missouri), The University of Manchester (United Kingdom) and Bogazici University (Turkey). He also has a bachelor's in industrial engineering from Bogazici University (Turkey). He became interested in social entrepreneurship and volunteering mainly after TA-ing a course on social entrepreneurship in graduate school, and has volunteering experience with children, adults, and animals. Trashon was born and raised in Los Angeles, California. She graduated from Los Angeles City College and received an Associates of Science Degree in Administration of Justice. Now she is working on a Bachelor of Science Degree in Criminal Justice Administration at California State University Dominguez Hills. Trashon has a passion for volunteering and is eager to serve the community. She also hopes to work with people, families, and children in need providing services and assistance. She also recently volunteered with L.A. Works as a Project Leader for MLK Day! During her off time, she hangs out with friends and family and enjoys going to restaurants, concerts, and movie theaters that serve special drinks! Rosie was born and raised in Yeo-ju, a small city in Korea. She moved to Seoul, the capital, to attend university and she is in her senior year majoring in French language and literature & Politics. She worked as an assistant at Korea Legal Aid Center for Family Relations for a year with the team of counseling for victims of domestic violence. Now she wants to make a career specialized in communication and community building in L.A.Works. She looks forward to meeting new people, interacting and socializing with them to get more involved in the work. Cris is an Iowa farm boy with a degree in Accounting from the University of Iowa. After moving to SoCal in 1993 he spent 25 years in Royalty Accounting in the Music and Video Game Industries. An enthusiastic runner, Cris has completed 12 marathons and over 200 half marathons, at least one in all 50 states. His father was a WW2 veteran who instilled a keen interest in veterans affairs in him. When he's not running or at work, Cris is supporting the Dodgers, Rams and Iowa Hawkeye football and wrestling teams.